Scroll through this forum to discuss upcoming instrument auctions, both on and off line. 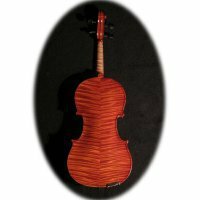 A great place to discuss current Ebay instrument listings. BUT NOT TO LIST INSTRUMENTS FOR SALE. 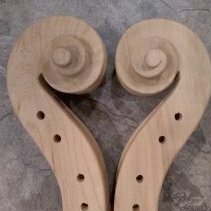 The Auction Scroll is for sharing opinions on instruments listed and offered for sale online on this site or any other. It is for the civil exchange of ideas and opinions about the instruments themselves. The opinions expressed are solely those of the poster, and do not represent the opinion of Maestronet or its forum moderators. Personal attacks on individuals will not be tolerated and will result in banning from participation in the forums. For example you are free to state that in your opinion a certain instrument labelled such and such is or is not authentic. You can also support your opinion with facts as you see them, as long as you make no reference to the individual or company listing the instrument or use hearsay in your argument. You cannot say for example that such and such an instrument is not authentic because you know the individual listing the instrument is not trustworthy or you believe the company routinely uses false descriptions of its instruments. That will get you banned. Similarly, you can defend the authenticity of an instrument with the facts as you see them, as long as personal attacks and hearsay are not used. For example, you could refer to the shape of the f holes in support of a certain origin, but what you cannot do is attack any individuals that may hold a different opinion. This is a unique forum, so please abide by these rules to ensure it continues in its current form. "E. Serdet 1890 Paris" Thoughts on ID? not one, but two Rogerinis at Brompton's! don't throw your garden variety in the trash! Read the rules at the top of this page before posting.